What Does the World Have in Store For Me? I suppose the basic answer to that question is nothing. However, I’m sure God has some things planned for me, and it’ll sure be interesting to find out just what those things are. Maybe not what I think. I have mixed feelings about what my parents have always wanted for my life- to go to UCLA law school and be successful and classy from there. 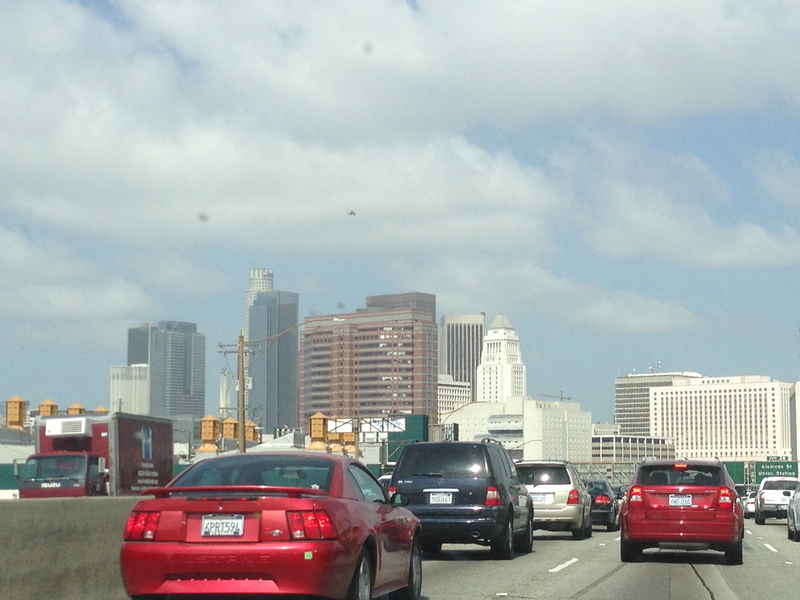 Pictured above is the beautiful smog-filled LA skyline from a congested freeway. Currently, I am an economics major, and am about to declare an accounting minor (actually, of late I’ve been reconsidering it). The only thing is… I don’t know if I like accounting. It seems a little boring. At this point, economics seems a little more interesting to me, more fluid and relevant to the world around me. So I’m not sure exactly what I want to do. Sometimes I wish God would just whisper it in my ear. But this would be a little scary, and also, I wonder if I would listen to Him if He did tell me. Maybe He doesn’t care all that much as long as I give Him the glory in all things. But come on, it must matter a little? Surely he doesn’t want me to be an engineer, because I’m not good at math. I would imagine that He would want me to do something that suits me… but what does suit me? And don’t say being a writer, because I will always be a writer, and there are reasons that I don’t want to do that full time. Well, on a slightly unrelated note, I just sent out an email to inquire about the position of staff writer on a university newsletter. We’ll see where all this takes me, and I suppose I must have faith that I’ll be taken to the right place. It’s time to get out of the driver’s seat. I must be honest, lately I’ve been a little troubled by the age-old question of “why so many religions?” This never puzzled me much before, but recently, it has been a nag. So this morning, I did some research on Islam, because I feel like I should know a little bit so I can at least have an intelligent conversation if the topic ever comes up. Why Islam? Well, Islam has similar roots as Judaism, and consequently, Christianity, and I thought that some people on the internet would have a lot to say in defense of it. I was right, and much to my dismay, it wasn’t all of the usual, emotional stuff. I read an article about how supposedly there were scientific things in the Quran about biology that couldn’t have been known at the time through humans (El-Najjar 3). Similar claims are made about the Bible too. But the more I researched, the more I realized the flaws in this religion. Of course, people also point out flaws in Christianity, but those are of a different nature, and as a believer, obviously I am rightly biased towards the validity of the Good Book. It turns out that many of the ancient mosques, instead of facing towards Mecca, are actually pointed closer to the direction of Jerusalem (The Quran’s Archeological Evidence). If you are interested, you can read more about it in this article. Of course, that isn’t conclusive proof that Islam is whack, since there is no conclusive proof, it just kind of steered me in a personal way back towards my own faith, towards Jerusalem. Another interesting thing that maybe you didn’t know is that Muslims also believe that Jesus walked the earth, but they claim that he was a prophet who was not the resurrected son of God (Godlas 1). Now this gets interesting. Why would Muslims claim that Jesus existed, just not in the same way that Christians believe? Why these commonalities? Wouldn’t it be easier for them to just deny Jesus altogether? If there is agreement between the Judeo-Christian camp and Muslim one on something, where strife has existed for centuries, then couldn’t you conclude that there’s something there, that one of them is right and the other, wrong? And which one has really stood the test of time? Now you decide that. I know I’ve decided. I think there’s a rather reasonable explanation for the supposed scientific evidence in the Qu’ran, even if it isn’t just a coincidence. God has definitely had relationships before with people who later disobeyed Him. Solomon, Samson, just to name a couple that I am familiar with. Isn’t it possible that part of the Qu’ran was divinely inspired, possibly through some kind of prophet who later went rogue? Or perhaps some kind of mix-up? Look, don’t get mad, it’s just a theory. The purpose of this post was is not to put down Muslims and accuse them of things right off the bat. I don’t have too many logical reasons for what I believe either because I’m not some kind of Biblical scholar. However, I would encourage anyone to think about why they believe what they believe. Don’t overthink it, because overthinking leads to dark places. Think about it, because you’re bound to think about it eventually, and if you didn’t think about it calmly, you’ll think about it in emotional state where it would be better if you didn’t think about it so much. Know why you believe what you believe, but don’t go looking for conclusive proof, you won’t find that. However, one thing that many people come to conclude is that the universe could not have been created by accident. Along with it being unlikely, it’s depressing to think of things like that. So then, who did create it? I would imagine that whoever did would want to communicate with his creation, either directly or, I don’t know… through a book maybe? Just thinking out loud here. Prophets? Yes, that makes sense. So which one is it, now that I’ve gotten this far? 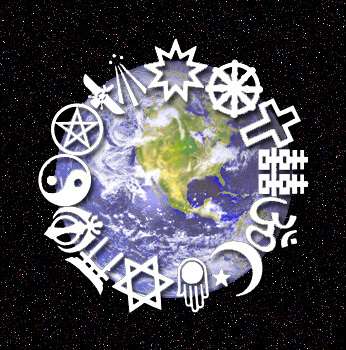 Is it Islam, Hinduism, Buddhism (which I still need to research), Judaism, or Christianity? If you choose Christianity, well then, you have to choose it on a much deeper level than that, but it’s a start. It’s a start of a relationship based on redemption, a relationship with the one True God. So it’s not just a religion, and if it is just a religion, then you’re probably approaching it the wrong way. El-Najjar, Hassan Ali. “The Scientific Evidence That God Exists and the Holy Quran is His Message to Humanity.” Aljazeerah, 2007. Web. 4 Nov. 2013. Godlas, Alan. “Jesus: A Summary of the Points About Which Islam and Christianity Agree and Disagree.” Web. 4 Nov. 2013. “The Quran’s Archeological Evidence.” Debate.org.Web. 4 Nov. 2013. I’ve posted many a time before about social anxiety/self esteem issues. I just feel like a fool sometimes in public. It’s not that I don’t talk enough, usually. It’s that I talk in order to spare awkward silences, and I wind up saying stupid stuff, and then when awkward silences do come up, I feel that they’re my fault. I perpetually fear that I am offending others or annoying them. I feel as if my very presence is a burden. The worst part is, I have no way of knowing whether these things are true or the extent to which it is true. But I believe it, even though I know that it’s possible that people don’t see me as as much of a moron as I do. The thing is, I have very good reason to believe this is true. Very good reason. Growing up, my friends always told me I was awkward, even if they didn’t exactly use that word. And, as I’ve written about before, this hurt me deeply. I don’t want to blame these people for saying it. It was only true- and that’s why it hurt me so much. I had friends in high school and middle school, so it could have been worse, but they always seemed to have their own lives, carefully separated from mine. They always had at least one other friend that they clearly liked far more than me. And how can I blame them for that? Good for them, what right did I have to be jealous? I had the great relationship with my dad, and no one could have taken that away from me. But why did it hurt me so much when they would talk about their other friends, like what they did on the weekend without me? I suppose it was because I knew that they regarded me more than I them. So now I’m writing about it and maybe someday I’ll be in therapy talking about it. The thing is, I’ve come to realize that I need God’s help. There’s no way that I can ever navigate the social world, let alone the spiritual world, without it. I can try and try until I’m blue in the face to do the right things, to be the best I can be and so on and so forth. But after a while, I realize that instead of trying to do things for God, I should do things through God and for God. I know, the distinction seems insignificant, but I think it is possible to draw on strength other than your own. 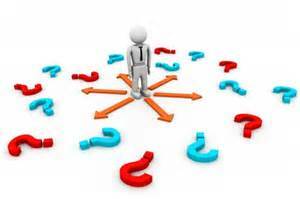 Possible, but difficult and mystical in practice. So today is actually Day 3, but I couldn’t post this yesterday for technical reasons. Anyway, stay tuned for Day 3 later! If you’re unfamilar with the apple detox, it’s basically a thing where you eat nothing but apples for three days. 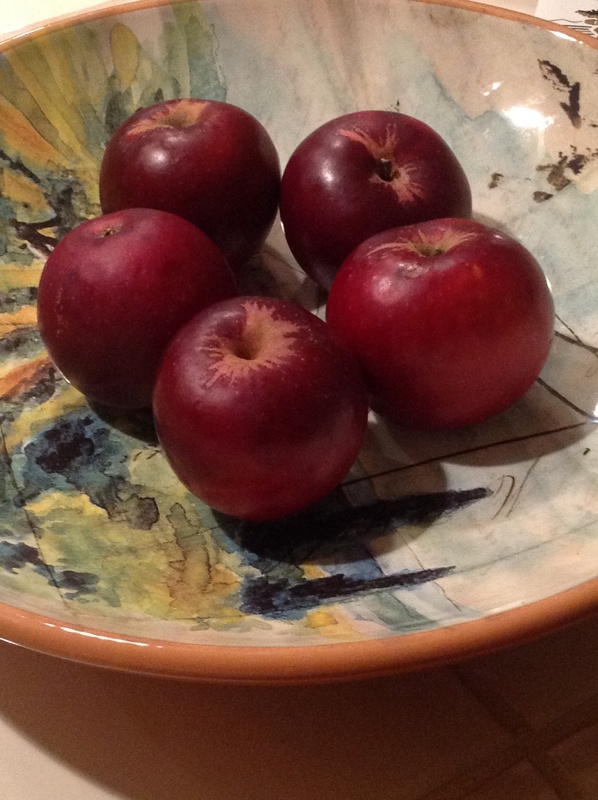 Apples of the jenneting variety are recommended, like red delicious, but I myself am using the Arkansas Black as pictured above . It is supposed to detoxify your body, and hopefully your soul a little as well, leaving you refreshed and rejuvenated when it’s all over. On the night of the third day, you’re supposed to drink a couple table spoons to half a cup (Edgar Cayce, who originally discovered the apple diet through divine intervention apparently, recommends half a cup). And this is suppose to flush out your colon, if you catch the drift. On day one, I had a grand total of 6 apples. I felt okay in general, just a little weak and tired, but able to function. There where times when it was difficult to be cheerful. Only one bowel movement occurred, in case you are curious about the effect of the detox. This morning I have a darker yellow urine to report, which was a little alarming. “Why isn’t my body happy? I haven’t been giving it any junk!” is what crossed my mind. But I am trying to remain optimistic. to free us from this unfortunate reality. Man shall not live on bread alone, I’ve always thought those were such powerful words. It is somewhat intuitive, but at the same time, it is a little contrary to our base desires. So what does this mean? It means that we must make every effort to tame our desires (I am definitely talking about MUCH more than food) and to “Die to ourselves.” I would not advise trying to fast for forty days. You’ll probably just die. If you read the rest of Matthew 4, there’s also a sentence about not “testing” God. I’m not trying to make out that I’m all righteous because I’ve decided not to eat normal food for three days. I just think that there’s a lot to be learned from fasts and detoxes, as well as health benefits gained. So probably the first lesson is to trust God. If you read the rest of Matthew, there are so many great illustrations of this principle. Matthew in general is just dense with information, not to say other books aren’t, but I think Matthew is one that is easier to decipher and appreciate for those of us who may not have the longest attention span (thanks to the media and pop culture). Does this mean that I should stop stressing about the color of my urine? Probably. That I should stop worrying that the detox won’t work for me because I have some kind of disease? Yes. Because what is disease, but an abnormality of the flesh? And who healed diseases, um, Jesus! And what can separate me from the love of God (as it is written)? Nothing…. Well, I’ll tell you what happens tomorrow, God willing. Happy apple munching to all! I have never been an animal rights activist, PETA gal, or whale whacko. I believe that the problems that humans face should be addressed before those of animals. No offense to the animals or activists who have genuine concern. Last night, I tuned into the last half of the documentary “Blackfish.” I can’t say that I went in biased towards the whales. Last summer, I visited SeaWorld for the third time (the second that I actually remember). I enjoyed seeing the dolphins, the sealions, turtles and yes, Shamu in all his corny amusement park splendor. I also enjoyed going on Journey to Atlantis and riding this really dorky kiddie ride with my father. I think we got some looks. But I don’t think I’ll be going back to SeaWorld. It is tainted for me now, along with many of my good memories in ignorance. I’m not even all that disappointed that I can’t find my SeaWorld hat. It truly amazes me how SeaWorld can get away with lying about things. How can they call themselves educational (which is their justification for keeping animals in captivity) when they deny biological facts, like that whales in the wild can live up to human life spans and that the flabby Shamu dorsal fin is not a normal whale attribute? And how many trainers need to die before some important changes are made? If whales are kept in captivity, can’t they at least have the opportunity to roam around more and have more food to eat, isn’t there a way? 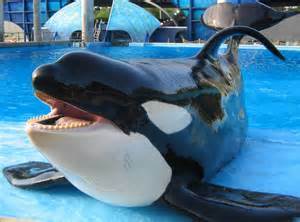 Clearly, something is wrong if SeaWorld trainers are dying and Dorsal fins are collapsing. Why doesn’t anyone care about anything but profits? What about having some respect for God’s creatures, huh? SeaWorld, according to their website, does not acquire its dolphins through the inhumane Japanese method anymore as documented in “The Cove.” But why should I necessarily believe what they say? I never thought I would say it, but here it goes: Free the Whales! Or at least make their lives a little easier. I believe that an American business is capable of at least that much!